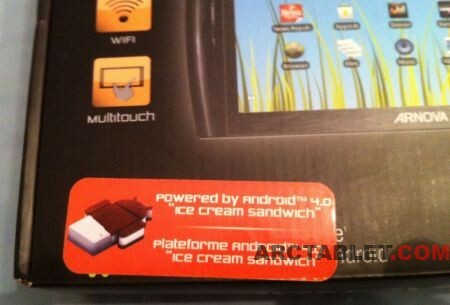 It looks like Arnova has decided to recycle their old Arnova 7 G2 and update these tablets to Android 4.0 Ice Cream Sandwich (ICS) like they did for the Arnova 9 G2i. At first look, this model is just an Arnova 7 G2 tablet with the same specs: Rockchip RK2918 CPU at 1 GHz, 512 Mb RAM, 7″ screen. This “new” Arnova 7 G2i seems to be currently available in a few European countries (Belgium, Netherlands, UK). 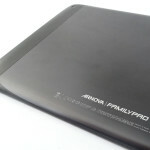 The product box is identical to the old Arnova 7 G2, with just an additional Android 4.0 ICS sticker. We do confirm that this Arnova 7 G2i ICS firmware can be flashed on a regular Arnova 7 G2 model. We are currently working on making a custom firmware to update the Arnova 7 G2i and the older 7 G2 model to Android 4.0 ICS with Google Play Store and root access, stay tuned ! Thanks to exelletor and our forum member Oream for the 7 G2i device pictures and the firmware update. 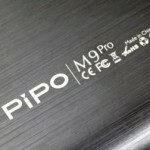 99$ Archos SmartWatch to be based on Yifang NextOne model? Previous articleArchos 97 Xenon passes FCC, says hello to the United States. Got to this link from Admin’s “Bluetooth & GPS” blog entry elsewhere on the forum. Does this ICS firmware for the 7 G2 have bluetooth support (via a USB OTG hosted dongle) ? If so, what chipset dongle does it require ? See this article or on our forum. yes i did it youre the greatest.. In the app arctools0.70 can u downloud this firmware? ? This firmware can’t be used in Arctools, it contains system changes that require Rockchip flasher to install the firmware on the Arnova 7 G2. So i need a computer to do it ? gen1us: As I mentioned the supplied backup.img is mainly for firmware builders and can’t be flashed directly. I’ll provide a flashable stock and custom firmware later today. We will publish the custom firmware with instructions later today. The currently provided firmware is meant for firmware builders so they can build their own custom firmwares, like Bob from freaktab.com. 😉 It can’t be flashed with RKBatchTool. how can i flash it if i have the Finless’s GingerComb firmware? is the proccedure the same? You’ll need to use Rockchip flasher to replace your existing firmware by the ICS custom firmware. Will this update also be possible for the Arnova 7cG2? And if yes, when?…Thanks! The Arnova 7c G2 uses different hardware (Qualcomm architecture vs Rockchip on the 7 G2), so it can’t use this ICS firmware, unfortunately.